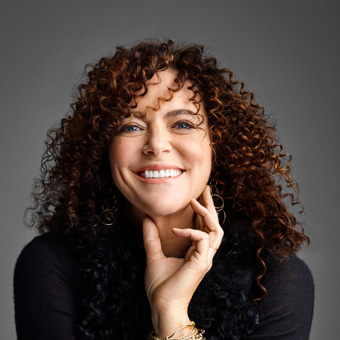 Daughter of an American artist and an Italian intellectual, art and culture have been a significant part of Ippolita Rostagno’s life since birth. She spent her childhood immersed in art and architecture in the hills of Tuscany, and went on to earn her Baccalaureate in sculpture at the Istituto D’Arte in Florence. Moving to the United States at age 18, Ippolita launched her eponymous fine jewelry collection, IPPOLITA. As Creative Director for the company, she has traveled throughout her native Italy and the world gathering inspiration for the brand. Inspired by the exceptional artisans she’s met throughout her journeys of her native Italy, Ippolita launched ARTEMEST in the summer of 2015 to promote the growth of craftsmanship through the digital channel. The first e-commerce for high-end crafts made in Italy, ARTEMEST offers a selection of more than 10,000 artistic, handmade products realized by the most representative Italian craftsmen and designers. There is a thin line between art, design and craftsmanship. Our culture celebrates and is amazed by the care for details, the creative wonder and the talent of the single craftsman. What does Fuorisalone mean to Artemest? Italians have always expressed the collective imagination through craft incredibly well. Ours is a rich lively artisanal world, and Artemest gathers the best of it. Nowadays, the ability to mix aesthetics and culture is called design, and Fuorisalone is the best stage to exhibit and discover new trends. This year at Fuorisalone you will present an important event, how did you realize it? 2018 is the Year of Women and we decided to celebrate this event asking our artists and artisans to create all-pink unique pieces to support this new awareness. Of course it’s also a chance to present a consistent exhibit (in a villa designed by Gio Ponti!) to showcase the best of our creativity together with our sense of humor and irony. Design, Art, Craftsmanship. Three dimensions found on your website that are more present than ever at Fuorisalone. Which influences the others, in your opinion? There is a thin line between art, design and craftsmanship. Our culture celebrates and is amazed by the care for details, the creative wonder and the talent of the single craftsman. This is why the best word would be “maker”, a union of all the different skills intertwined. I’d say that it’s our cultural heritage: Michelangelo, Leonardo da Vinci, Palladio, Piero della Francesca, the 18th, 19th, 20th centuries… It’s impossible to name just a few, don’t you think? What does innovation mean now to a young designer or a brand that starts from craftsmanship or self-production? Innovation always starts from real-life needs, and design is always changing together with society and history. The purpose of design is to unite the aesthetic needs of a specific era with the cultural and technological knowledge, to provide items that give a new vision of the everyday life. Every designer and firm should ask themselves: “Do we need this item?” If the answer is no, they should continue their research. If the answer is yes, then they are responsible to make it for the creative community. The need can be ephemeral, aesthetic, multi-purpose, but it has to somewhat reflect a collective state of mind. Among your 500 customers/makers, how many will be there at Fuorisalone? What kind of showcase can it be for them? At Stranger Pinks we will exhibit pieces created by over 40 different artists/artisans. If we do it well, this could really act as a springboard! We are making an all-pink house! What’s more beautiful? Change the course of history, help us bring the Italian creative talent to fame and put the uniqueness of the beauty of our products under the limelight, so to make the audience supporters and speakers for the “revolution of beauty”. Stranger Pinks in Via G. Randaccio, 5 - open to visit from the 17th to the 22nd of April.